Volkswagen has revealed new derivatives of its all-new Crafter, with deliveries expected before the end of 2017. The announcement has widened the appeal of the commercial vehicles, with a raft of new model derivatives now available to order. Panel vans with 4motion all-wheel drive, rear-wheel drive and an eight-speed automatic gearbox are now available, along with open body models in single and double cab variants. 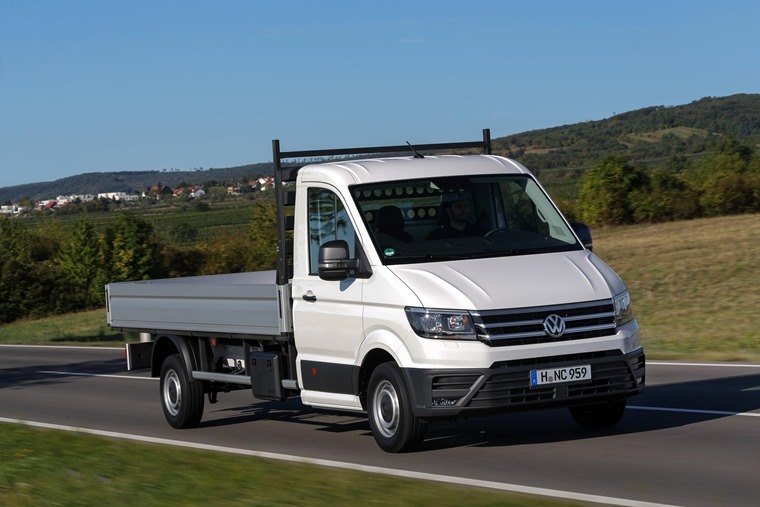 At its launch at the Commercial Vehicle Show in April, front-wheel drive versions with gross vehicle weights up to 3.5 tonne were available with three engines and a manual gearbox. The expansion of the range sees available gross vehicle weights now up to five tonnes. 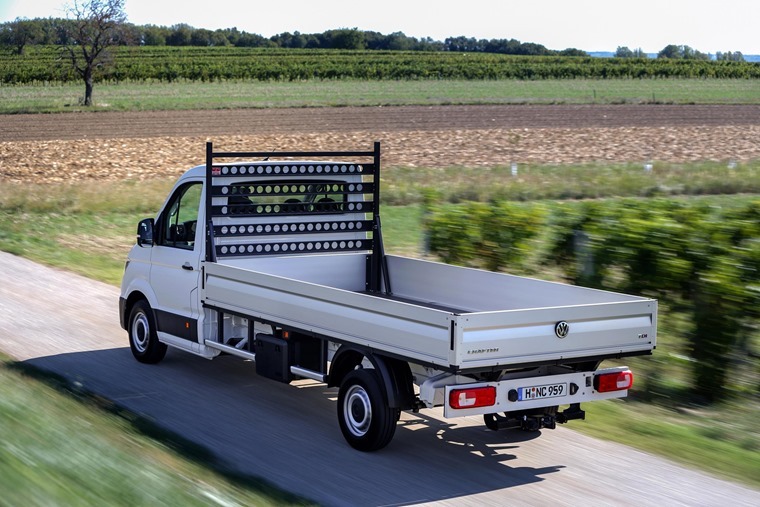 The addition of open body models to the range allows for conversions via Volkswagen Commercial Vehicles’ Recognised Converter scheme, meaning customers in the market for a dropside, tipper or other body modification now have the perfect base vehicle. Further derivatives will continue to join the line-up in 2018, including a 122 PS engine which will join the current 102, 140 and 177 PS powertrain options. The all-new Crafter has been designed from the bottom up to meet the needs of van operators, and now offers maximum flexibility as well as a comprehensive suite of innovative technologies. 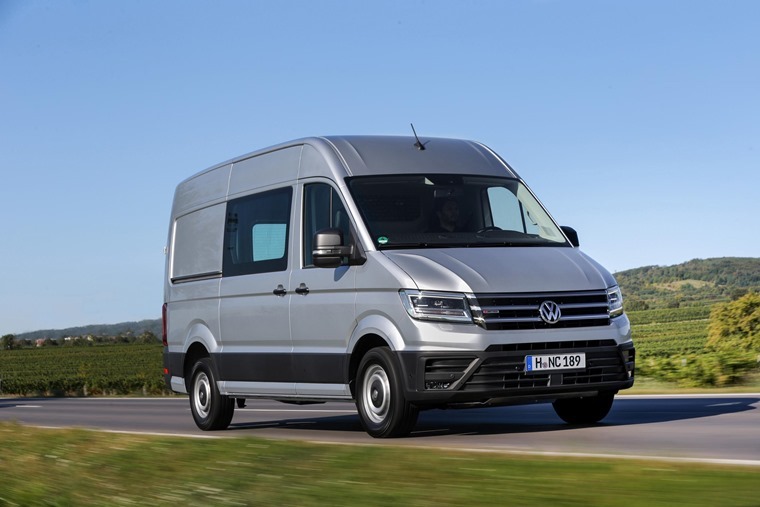 As on all Volkswagen vans, the Crafter comes as standard with autonomous emergency braking and automatic post-collision braking systems – a first in the van sector – as well as cross-wind assist for closed bodies and a driver alert system as standard. Prices for the entry-level panel van start at £24,640, excluding VAT.